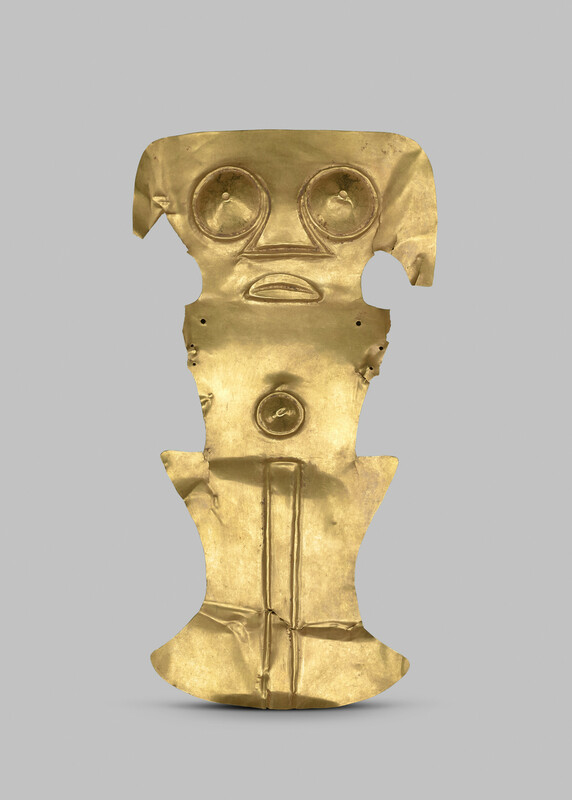 A pre-Colomban gold breast-plate, embossed with a primitive figure. In a green leather box, with gilt metal cofa and presentation inscription, lined with green velvet. With accompanying certificate.